A professional hair gel that works for all hair types. 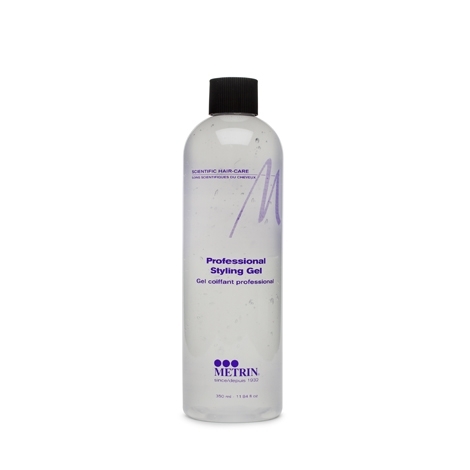 METRIN’s Styling Gel enhances the natural luster and shine of your hair without residue buildup. This professional hair gel won’t flake, and has the holding power you need for shaping, control, and versatility. Apply to either wet or dry hair. Place a small smount on palm of the hand, work through hair, and style as desired. Water, PVP, Triethanolamine, Polysorbate 20, Propylene Glycol, Carbomer, Diazolidinyl Urea, Fragrance, Methylparaben, Propylparaben, Panthenol, Silk Amino Acids.